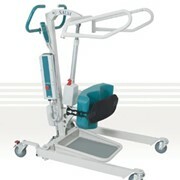 This versatile product was invented by Ken Wyborn at the same time he invented the Wymo Wheelchair Hoist. We use a method in which a winch (on the top of a post) lifts and lowers a seat carriage and the seat carriage is then rotated over the water and back again. 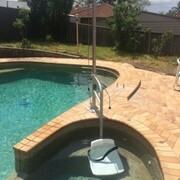 We have very positive feedback relating to the installation and use of the Pool and Spa Access Hoist. 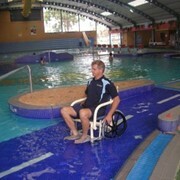 This product can help people who have severe disabilities, aged swimmers and those who have minor mobility problems. 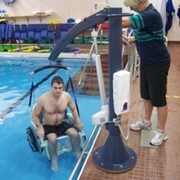 The carer positions the seat so the user of the hoist can transfer into the seat, then the carer raises the seat and pushes the seat around the post over the pool or spa, the carer then lowers the seat into the pool or spa then at the correct depth and then user of the hoist the swims off the seat. 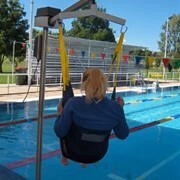 The Standard Pool Access Hoist is a low cost option for access to a pool. 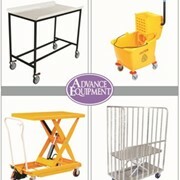 It is the perfect choice for private customers on a strict budget. This hoist has a safe working load of 140Kg and a static load of 210Kg which makes it fully compliant to the Building code of Australia. Wymo Lifting Aids has a full range post type hoists for inground pools, inground spas, above ground pools as well as swim spas for more information or a quote please call or email for a direct reply. Wymo is a family organization which was created from 30 years of the manufacture of motorized devices by Ken Wyborn. In 1982 the focus of Wymo’s work changed to the aid of a disabled motor vehicle driver with the invention of the Wymo Wheelchair Hoist. The wheelchair hoist has helped thousands of people around the world gain a much higher degree of mobility and independence and we have achieved a very good balance of quality and price. 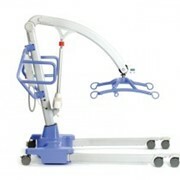 During the time in which we have been working in the field of disability products we had many requests for hoists for other applications, in answering these requests we came up with a series of `Post Type Hoists’ which uses an ingenious lifting and pivoting system with a 24 volt winching unit. These different devices are rated to 135kg and unlike most products of this type freight is compact and installation is quite basic. Wymo is an exciting, energetic and creative environment for all concerned. We are dedicated to our customers and are interested in the promotion of our products to anywhere where there is a need. Mention MedicalSearch so Wymo Lifting Aids can best assist you! Get a callback from an expert at Wymo Lifting Aids to help answer your questions.